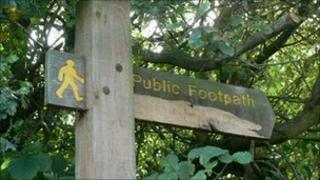 Residents of a County Durham town have been invited to comment on plans to provide better tourist information. The project, in Stanhope, would install notice and interpretation boards, and provide details of rural walks. The market town is a gateway to the North Pennines Area of Outstanding Natural Beauty, and visitors help boost the local economy. Plans are on display at the Dales Centre and St Thomas' Church Hall until the weekend. Councillor Eddie Tomlinson, Durham County Council's rural champion, said: "Stanhope is a fantastic area for rural walks, and a project like this will help to ensure walkers find their way around easily, and will generally provide a more informed and warmer welcome to visitors." The project, across various locations in Stanhope, is due to start in early 2011.